Picking the best charcoal smokers to recommend was tough and not everyone is going to like my list. I ended up using the qualifier of “under $500” since that is a big budgetary cut off point for a lot of folks. If you are in a higher budget bracket then check out this post on the best kamado smokers and take a look at the Kamado Joe. Two of the usual suspects. One smoker I never imagined I would ever recommend. A surprise for the best choice overall. This list was hard for me because it made me change my beliefs about what makes a smoker great. 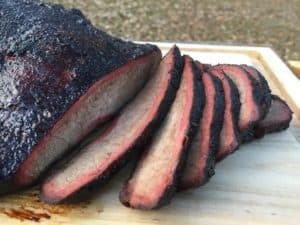 For a long time I preached that a great smoker must have the ability to precisely control air flow so you could control the temperature of your pit. But I have included a smoker on this list that blows that rule out of the water. A second thing that I always preached is that you should never buy a smoker that isn’t going to last. But I included a smoker on this list that will fall apart in about three years. Can it make GREAT barbecue? 22 inch Weber Smokey Mountain: The Best Smoker Ever Made? The 22 inch Weber Smokey Mountain is a beast and many people consider it to be the best smoker ever made. You will find a fleet of WSMs at any barbecue contest you attend and they routinely win Grand Championships. The 22 WSM ticks off all of the major boxes that you should be looking for in a smoker. When you buy a WSM you also get to tap into a massive community of fellow owners who are willing and eager to share every tip and trick they have ever learned. The one thing that I don’t like about the WSM is that moving it around is a pain in the neck. The cooker does not have wheels and its three modular sections have to be moved one piece at a time. 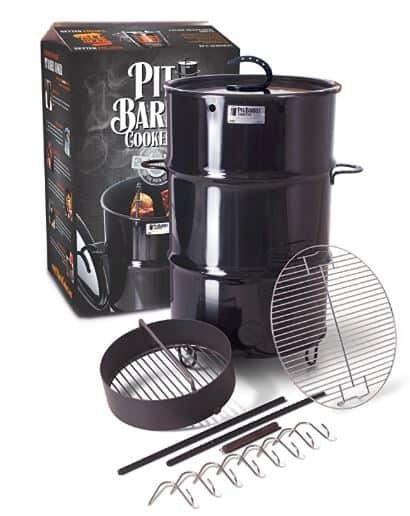 The Pit Barrel Cooker is the EASIEST to use charcoal fired smoker that you will ever own. You fill the PBC with charcoal, open the bottom air vent, hang your meat and walk away. The PBC is designed to run as a Hot and Fast convection smoker. You do not adjust the temperature or fool around with water pans on a PBC. This is just a straight up easy to use smoker. The PBC has a rabid fan base and the company is owned by some nice folks. The one thing that I don’t like about this cooker is the one thing that makes it great. There is no temperature control on this pit. It is designed to run in a single manner and it does so very well. That being said, if you really want to slow smoke a slab of baby back ribs at 225F then you aren’t going to be able to do it with this cooker. That doesn’t mean you can’t smoke ribs on the PBC, you will just need to adjust your technique. In fact, here is a video showing you how to smoke nine slabs on the PBC. I never thought that I would be recommending this smoker but dang it, I am. The first thing that I want you to know about the Akorn Kamado is that it is NOT going to last. If you are lucky, keep the ashes cleaned out and religiously use a cover then it might last for five years. The second thing I want you to know about the Akorn Kamado is that it is a heck of a smoker and a great introduction to cooking on a Kamado style pit. The metal Akorn costs a fraction of the price of a Big Green Egg but has many of the same great performance characteristics. 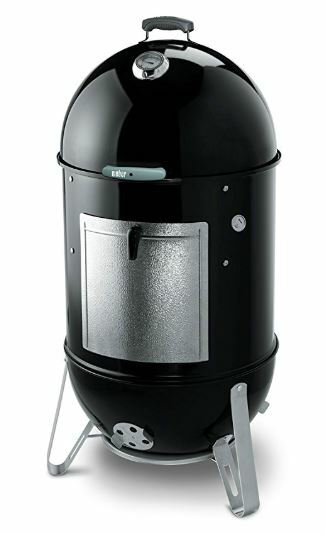 If you are interested in a pit that can go low and slow for hours on end as well as hit temperature of 700F for searing steaks then this is a smoker to consider. A lot of folks will buy this as a way to decide if they like Kamado style grills. Once they get hooked and their metal pit rusts out they typically upgrade to a traditional (and much more expensive) ceramic Kamado. The Weber 26 inch kettle is my pick for the best charcoal smoker because of performance and value. Most people don’t appreciate how MASSIVE this kettle is until they see one in person. Are you skeptical that you can use a kettle grill as a SERIOUS smoker? Then check out this Head to Head throwdown between the Weber 26 inch kettle and the $1,000 Weber Summit. Another reason that I am giving the 26 inch kettle such a strong recommendation is its versatility. Not only is this thing an amazing smoker but it is an even better grill. If you buy a WSM for your smoker you are going to need to buy another product to grill steaks. 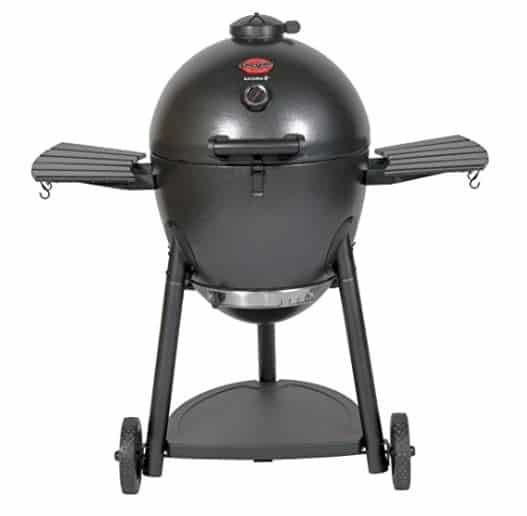 Why not kill two birds with one stone and get the massive Weber kettle? A lot of folks would say that I am crazy for not including an Oklahoma Joe smoker on this list. The reason I didn’t include them is simple. Offset smokers are beautiful but I hate using them. I used to own an offset and did a little dance the day I finally hauled it off to the curb for trash. Constantly tending the fire gets old real fast. Cleaning the grease out of the cooking chamber is a pain in the neck. Figuring out how to seal up all of the air leaks and doing modification after modification to try to get something that resembles an even temperature profile is tedious. There are plenty of people in the world who love their offset smokers. I am not one of them.